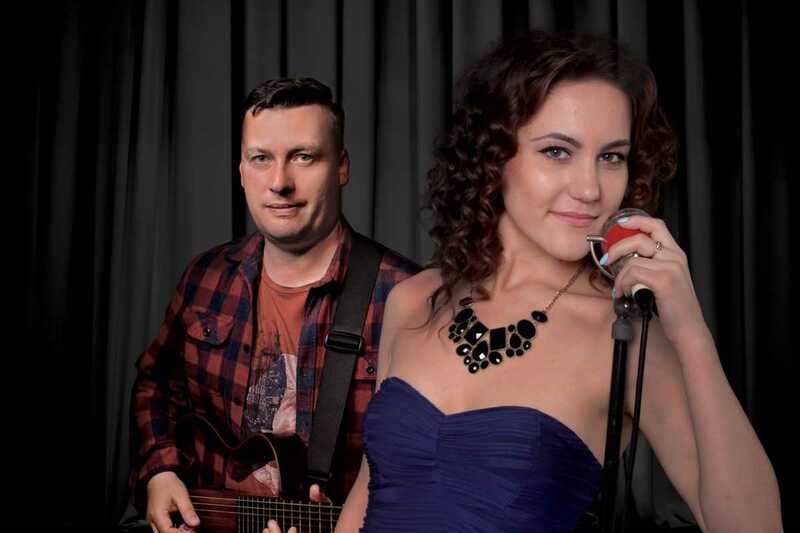 Hemingway’s at Hilton Abu Dhabi now brings you their new resident band, Blackberry Duo. Meet the residents: Yelyzaveta, who reels in the crowd with her powerful vocals and Maksym who sets the mood with his guitar skills. 1. Why ‘Blackberry’? How does this name represent your duo and how you thought of it? When we thought about what we wanted to name the band, we wanted something that was easy to remember and sounded fun. Somehow the word Blackberry stuck in our minds and we really liked the name, so we kept it, it’s short and sweet. 2. How did you meet and how Blackberry came to be? We meet a few years ago. We decided to work as a duo three years ago for a job in Abu Dhabi. We work well as a team and match each other’s energy. Initially it was just for one assignment but ultimately, we decided to continue as a duo owing to our great sound and on-stage chemistry. 3. How did you find yourselves in Abu Dhabi? The job opportunity took us here. We both have traveled a fair amount for work and were open to going wherever the right job took us. Luckily for us the opportunity arose again for us to return to Abu Dhabi, so here we are. 4. Sum up your musical style in a length of a ‘Tweet’? A soulful melody for all music lovers. 5. You have been playing in cruises as well, how do you think Abu Dhabi (on dry land) is different than the other places you have been playing? Honestly performing anywhere is the same. We thrive from the energy of our audiences and reciprocate in the same manner to their energy towards us. Performing in front of a live audience on a stage anywhere is the same. We have been blessed to meet people who really like our music and regularly follow us to hear us perform again. 6. Have there been any disasters when you have been performing or touring? Any funny stories to tell us? No disasters as such but we do have many funny stories. We once had a lady guest who got carried away and joined us on the stage to sign the song we were signing. She took centre stage and took over the signing. She was so excited to be on stage that she danced her way around and kept pulling Maksym’s cheeks. It was all in good humor and very funny at the time. The world is our oyster. We have been blessed to travel to so many places. We are happy to go wherever our work takes us. We would love to perform in Spain, Japan, Maldives. Wherever the opportunity and our music takes us. 8. Tell us about your new residency @ Hemingway’? We are loving our time here at Hemingway’s. Hemingway's is a place for people who likes good music, good food, good drinks and sport. This is a special place with its an atmosphere of its own. 9. What can Abu Dhabi expect from you when it comes to music and performances? We play different songs for everyone. From pop, rock, club, lounge and more! You will surely hear us perform to your favorite songs at Hemingway’s. 10. Lastly, when can we find you performing at Hemingway’s? Daily Monday to Thursday from 8:00 pm to 12:00 am, and we also play every Friday at the brunch from 1:00 pm - 03:30 pm and back in the evening 9:00 pm - 12:00 am.